Looking for the most fuel efficient cars on the used market? Considering that the price of fuel never seems to drop, a considerable chunk of our income goes to keeping the tank filled. There are at least a couple of ways to maximize your fuel economy, such as keeping your vehicle maintained properly and watching your driving habits. However, there is only so much these two things can impact—not to mention that some vehicles are just beyond repair—so ultimately you may have to consider moving to a car with better fuel economy. Here’s a list of the top five most fuel efficient cars available today from BE FORWARD that are designed to comfortably fit a family of four or five. Here are the 5 used cars available at BE FORWARD with great fuel consumption and even more amazing prices. Keep reading to learn more about why we chose the following vehicles. As far as mini-MPVs go, the Toyota FunCargo is one of the more versatile on the used car market, and is fairly pleasing to look at and drive. The cargo area is quite generous, especially if you fold the seats down flat, and it’s as close to a compact cargo van as you can get. Lightweight and economical, the Toyota FunCargo is as much family-friendly as it is wallet-friendly, delivering just over 15.3km/L. Perhaps the only limitation is its low ground-clearance, which keeps this mini-MPV firmly on solid pavement. 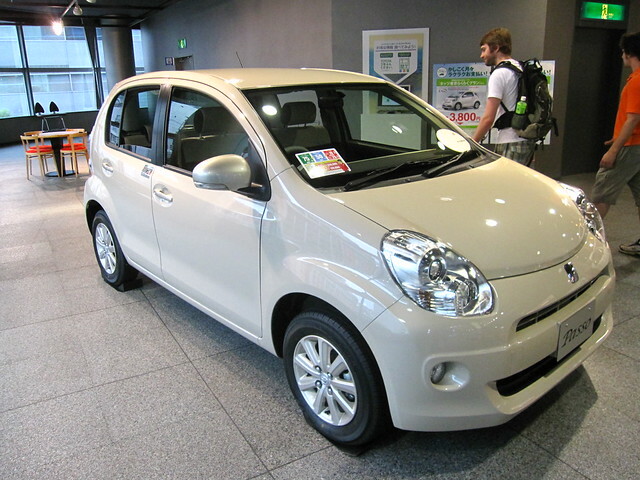 For a subcompact MPV, those in the market for a used Toyota Passo will discover its unassuming character boasts a remarkable amount of interior space, with enough room for four or five passengers, and seven in the case of the Passo Sette. Passo drivers slightly sacrifice in style, but this is more than made up for by the overwhelming practicality of the Passo package. The engine options are surprisingly powerful, yet its fuel consumption remains efficient, although perhaps a bit noisy at higher revs. Even with five passengers, the Passo still has enough room for a small amount of cargo, and gets up to 14.2km/L. Tying with the Passo for fuel consumption efficiency, the Toyota Vitz could be best described as Passo’s little sister, which is why it probably comes as a surprise that the Vitz’s fuel economy isn’t higher. It’s practically the same car, just in a smaller package. How does the Toyota Vitz compare to its in-family rival the IST? Find out in our comparison here. To see how the Vitz and Passo match up against each other, read our hatchback comparison here. 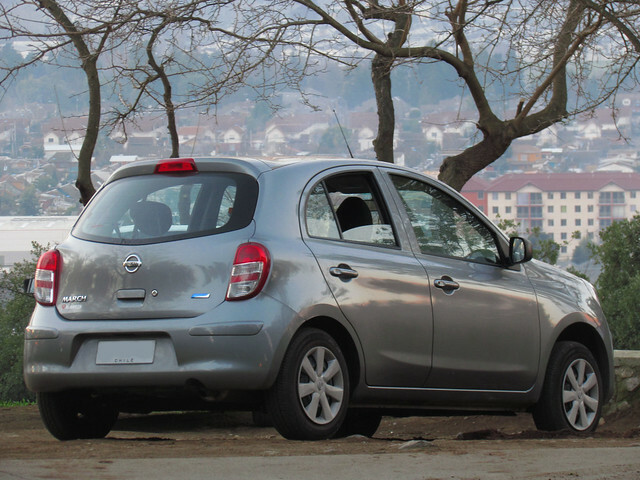 The Nissan March (or Micra, depending on where you live), has been around for a long time in the subcompact segment. It may look plain, but delivers where it is important, especially in interior space and fuel economy. The inside is deceptively large, thanks to the wheels being placed near the car’s corners. Nissan also smartly designed the rear seats to fold down flat, which makes the cargo area positively cavernous. The March is a great city car and highly maneuverable, delivering an average of 14km/L, but you’ll probably want to steer clear of the CVT version. Winner of the 2002 Japanese Car of the Year Award, the Honda Fit seems a master of innovation, such as pushing the fuel tank under the front seats and mounting the rear seat higher. These two innovations alone result in the most interior space and foot room, without forcing the car’s frame to be larger. Like some of the others in this class, Honda Fit also features flat-folding rear seats, for those occasions when extra cargo space is needed, and a conveniently low rear floor. Overall, the Honda Fit averages around 13.8km/L. Aside from its fuel efficiency, how good is the Honda Fit overall? Read more to find out how the Fit stacks up against a formidable hatchback like the Mazda Verisa here. 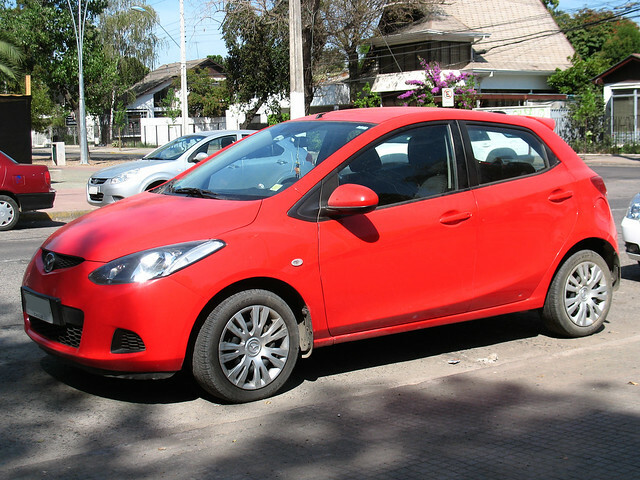 True to its Mazda heritage, the Mazda Demio (Mazda2 in some markets) is probably the most fun to drive on this list. Instead of wasting fuel on extra weight, the Demio is smaller and lighter, just under 1,000 kg, which makes the tiny engine that much more fun to rev and throw around corners. In a time when small cars seem to be boring fuel-sippers, the Mazda Demio is a refreshing change. In spite of its diminutive size, the car even lets taller folks enjoy a ride, carries a small amount of gear, and still returns about 13.6km/L. There are a number of other used vehicles on our website that get great fuel economy (better than 10.5km/L), ranging from compact luxury cars to full-size passenger vans. For example, it’s not surprising that the Toyota Corolla, across most of its variants, including the Sprinter and RunX, averages just shy of 13.2km/L. What might really surprise you is that even the Toyota HiAce Van is rated at 14.3km/L! We really like that the Mercedes-Benz C-Class and the BMW 3-Series both average 11.1km/L, but you’ll definitely want to go for the diesel versions, which average closer to our top five. If you’re checking out our used cars and are looking for something with great fuel economy, we’ve got lots to choose from!